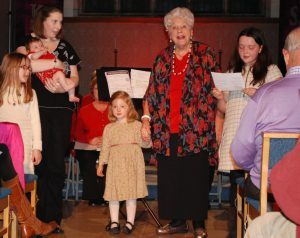 Tamsin grew up with the Heath Singers as a central part of family life. Peggy called her to the piano at a tender age to do some musicality tests (which she passed) and from then on has been a major inspiration in Tamsin’s life. Peggy at the tender age of 85 even introduced Tamsin to the Association of British Choral Directors at their annual conference in 2016. 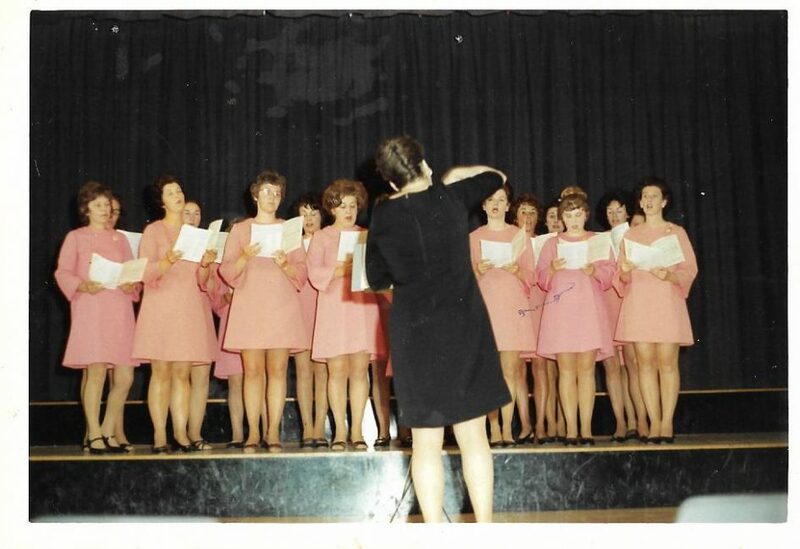 In particular, the position of the Heath Singers at the heart of their community and the way the choir has brought together ladies from a range of backgrounds and vintages, plus associated gentlemen and descendants, is also the objective of the Leigh Ladies Choir.